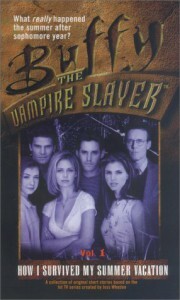 I have to say this is one of my more favorite novels of the Buffyverse. It's set in the time frame between season one and two, when all the characters are on summer vacation. Buffy is in L.A. with her dad throughout the story. Then it also switches back to Sunnydale and deals with the Scoobies side of their summer, including Angel too. It's defiantly a book for those that want those gaps filled in that wasn't fully explained in the show about what really happened to everyone once the Master was killed and how everyone handled it thereafter. A real treat for a true Buffy fan!